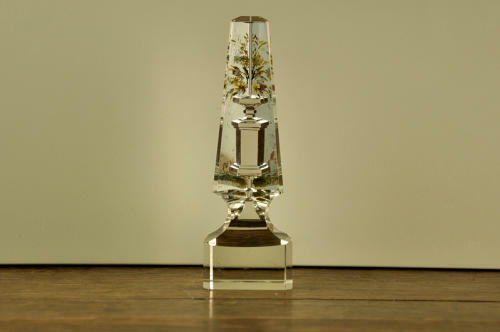 A fine quality, mid 19th century, 'Grand Tour' cut glass obelisk with 'trompe l'oeil' mounted on a square cut base. The obelisk is cut to the reverse and painted with enamels. When viewed from the front the illusion appears as a pedestal vase containing flowers. Circa 1850-70.